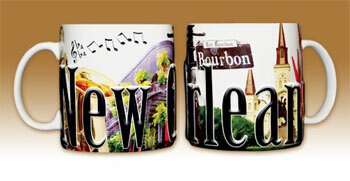 These colorful New Orleans ceramic mugs are perfect for your early morning beverage. The raised lettering and unique design add texture and beauty to the over-sized mugs. Dishwasher and microwave safe.